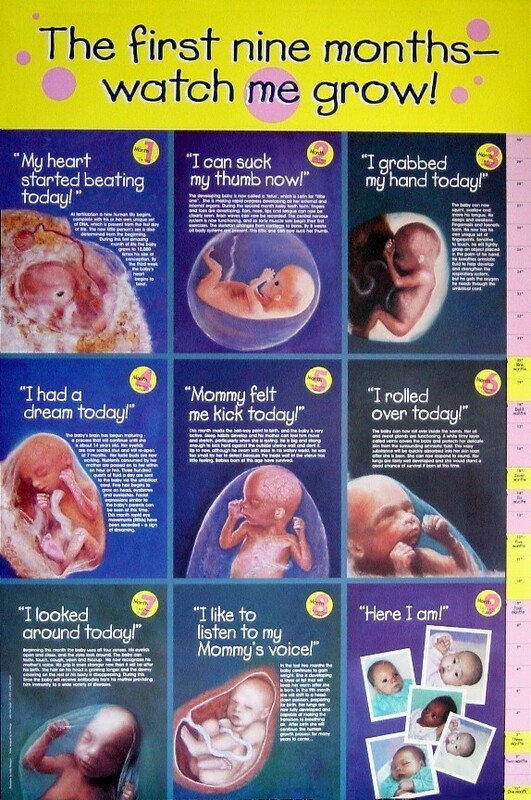 This beautifully illustrated and medically accurate set of ten 16” x 20” color posters chronicles the growth stages of a baby for nine months in the womb. Display them individually, rotating on a monthly basis, or display the entire set. Affordably priced. Also available in a space saving 24”x36” all-in-one poster shown below. This beautiful brochure makes a great handout at fairs, schools and clinics.